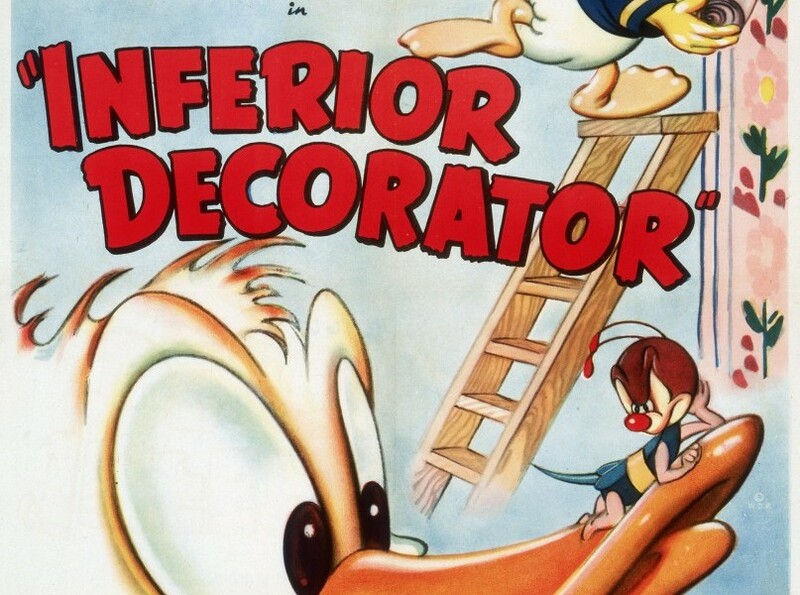 Inferior Decorator (film) Donald Duck cartoon; released on August 27, 1948. Directed by Jack Hannah. Don is hanging flowered wallpaper which fools a bee. The bee gets so irritated with Donald and the fake flowers that he must call in his swarm of bees to attack. Infant Care (film) Infoseek Corp.